Clarke Logan Young Law Office limits its practice to California family law litigation, real estate and property law transactions, and land use law. Santa Monica divorce lawyer Clarke Logan Young offers full representation for family law cases filed in Los Angeles, Orange and San Diego counties, California. This is the traditional “model” of representation in which we represent you in every aspect of your divorce proceeding from initial filing through judgment on all issues as well as in post-judgment proceedings. This includes, among other things, proceedings such as hearings and trials, obtaining judgments of dissolution (decrees of divorce), child custody and visitation orders, child and spousal support (also known as maintenance and alimony) modifications, domestic violence restraining orders, and property division. While our practice emphasizes litigating cases in which the other party suffers from (or is suspected of suffering from) Borderline Personality Disorder, we also handle low conflict divorces. The fact of the matter is Borderline divorces are by far the most difficult of all divorces to litigate and resolve. For this reason, normal “garden-variety” divorces are, in comparison, walks in the park for us. Anyone who can successfully litigate a BPD custody case can successfully litigate any kind of custody case. Santa Monica divorce attorney Clarke L. Young consults nationally and internationally with non-Borderline spouses and their local attorneys, child custody evaluators and other mental health care professionals, patients of therapists who have clients in interpersonal relationships with Borderlines, and family members of Borderlines who are seeking help for a Borderline relative. Mr. Young has consulted, mentored and coached clients from all over the U.S. and as far away as South Africa, India, Germany, France, Great Britain and Canada. Many consultations turn into long-term relationships that last the life of the case. Mr. Young has received many flattering and sincere accolades from these clients and has consistently been told, “It’s the best money I ever spent on my divorce.” Needless to say, these are emotionally rewarding relationships. Most frequently, we receive calls from non-Borderline spouses who, because they are frustrated with their local counsel and the court system, seek advice as to how they can stop losing and start winning their cases. They feel misunderstood, angry, confused, ignored and alone. Many are emotionally bankrupt and some suffer from PTSD. The only thing that keeps them from walking away from the process is their love for, and commitment to, their children. They know that if they abandon their children the BPD parent will destroy the children psychologically and emotionally. Sometimes a new spouse, a family member or a close friend of someone who is divorcing a Borderline calls for a consultation. These compassionate interventions very often result in the non-Borderline spouse calling and asking for help. Some of Mr. Young’s most satisfying referrals have come from the therapists of the non-Borderline spouse/parent. These referrals are especially gratifying because the non-Borderline spouse/parent has usually already received the lot of good information and learned tactics for dealing with the Borderline spouse as part of the therapeutic process. This team approach greatly reduces the amount of time it takes to turn a losing case into a winning case. Clients who are referred by a skilled therapist are already adopting coping mechanisms for dealing with the imbalance of power in their Borderline relationship and are better able to navigate the Borderline’s unceasing manipulations, deceptions and distorted reality. On occasion Mr. Young receives calls from therapists who are having difficulty dealing with a Borderline issue either in a clinical setting or as a child custody evaluator. For example, one time a child custody evaluator sought out Mr. Young’s advice on how to draft a third child custody evaluation because the Borderline had threatened to sue the evaluator after the evaluator’s first and second child custody evaluations failed to comport with the Borderline's view of reality. 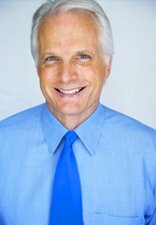 Most divorce attorneys are open to Mr. Young’s advice. Typically, their clients are the ones who urge them to consult with Mr. Young. To date, without exception, every time a working relationship with local counsel has been established, the results have been spectacular. Mr. Young is available to testify as an expert witness in Borderline custody cases. Many “winnable” cases are lost either because the judge does not understand the “psycho-babel” employed by the child custody evaluator or because the child custody evaluator does not know how to translate his or her findings and recommendations into an order that satisfies the judge’s need to have an order that is enforceable by contempt. Some judges rubberstamp the child custody evaluator’s recommendations. Other judges ignore the child custody evaluator’s recommendations. Very few judges understand the significance of any particular diagnosis, let alone how that diagnosis needs to be addressed in the custody and visitation order. Likewise, few child custody evaluations feel comfortable drafting proposed orders for the court’s review and approval. The result is that after a tremendous amount of time, energy, talent, hope and money are poured into psychological tests and the child custody evaluation, the order fails to address the psychological dysfunction that is driving the conflict between the parents. The reality is that until the psychological dynamics that are driving the conflict are addressed in the form of an enforceable court order, the conflict and litigation will resist resolution. The non–Borderline spouse will return to court time and time again seeking help from a court that simply does not understand the nature of the conflict. Years will go by before the court finally figures out that the conflict is unilateral and that the Borderline parent is simply unable to co-parent or parallel parent. By then, the Borderline parent has psychologically maimed the minor child or children and the non-Borderline parent has been marginalized, if not destroyed psychologically, emotionally, financially and socially. As an expert witness, Santa Monica divorce attorney Clarke Logan Young can educate the court on various aspects of a Borderline custody case. For example, Mr. Young can help the court understand what Borderline Personality Disorder is, why Borderlines are referred to as the “anti-parents”, why the general presumption in favor of co-parenting is usually unworkable in Borderline cases, what types of provisions work in Borderline custody and visitation orders, how to structure orders to expose the Borderline, and, in general, how to help the court save the children and the non-Borderline spouse from the Borderline’s compelling drive to subjugate them to his or her will.